Based in a rural location we built up our reputation working initially within the local community, serving mainly homeowners. With our domestic operation as a backbone we expanded the company and formed a commercial division. 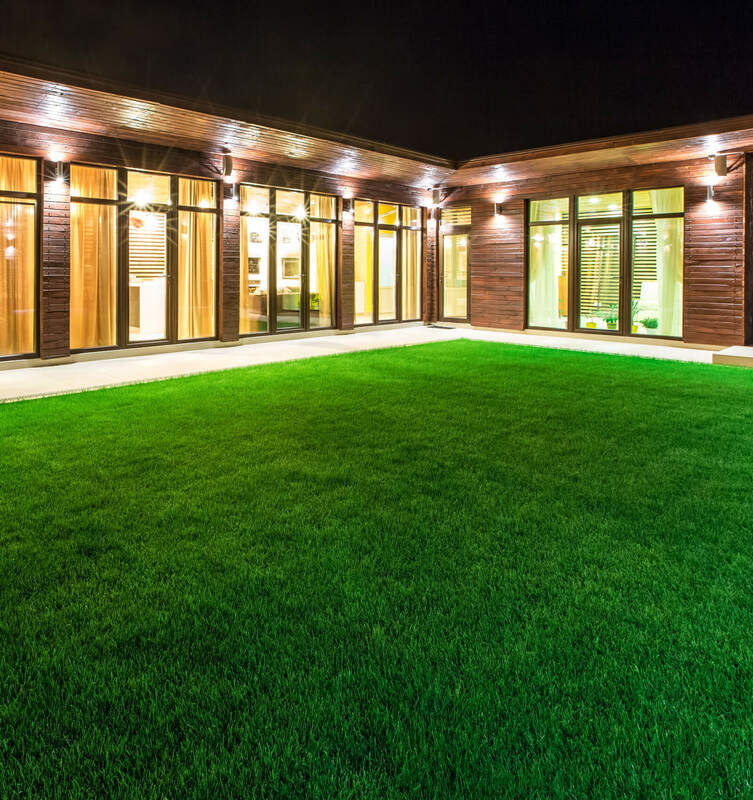 Our vast range of electrical services also cover outside power supplies, barn conversions, aerial installations, Cat 5 data wiring and more. Using a qualified and experienced approved electrician is crucial when it comes to all aspects of TV aerial services. Fitting and repairing TV aerials is dangerous work, due to some aerials being installed on rooftops of houses. 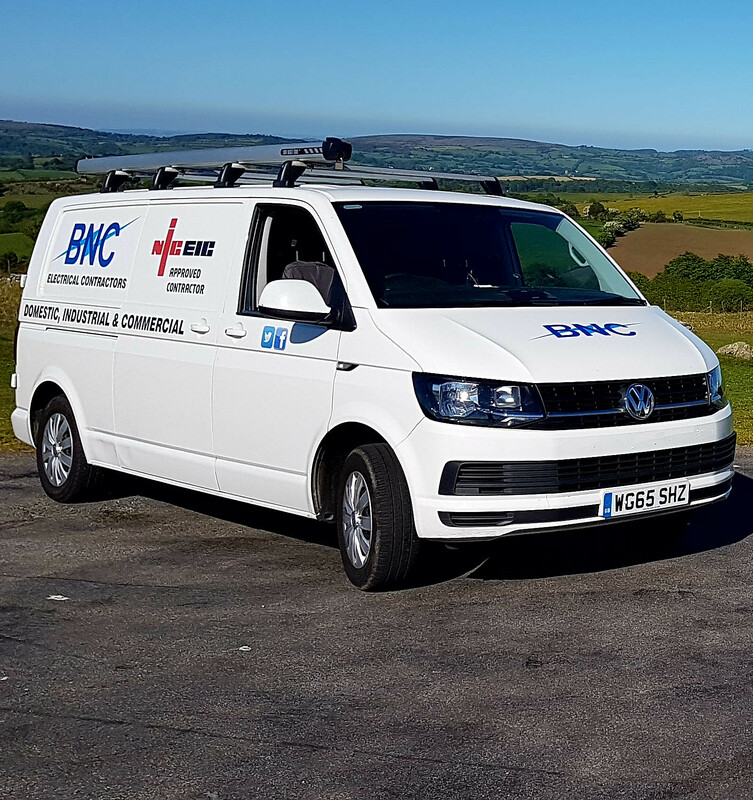 It is key to use a professional as this ensures that any type of work which is being carried out on your aerial is completed to the highest safety standard. Rooftop – Which is the best for a good signal. Loft – This aerial is only reliable if you live in a strong signal area. Portable Indoor – Other domestic appliances in your home can often interfere with the signal when you have this aerial fitted. Having your aerial fitted by a professional can ensure your aerial is in the correct working order and functions to a high standard. Having an aerial fitted usually takes 1-2 hours if no problems arise and it is safe to do so. 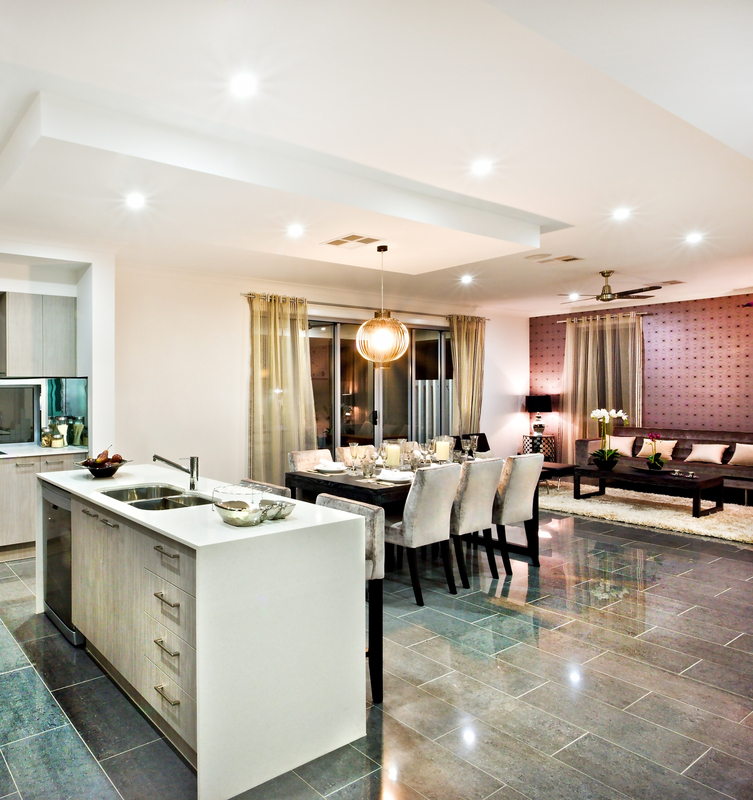 You can also have aerial connection in multiple rooms, the only thing you would need is a cable that connects them. When having an aerial fitted you must check whether you need planning permission, permission from the landlord or owner or listed building consent. Under ‘The Town and Country Planning Order 2015, you have general permission to install an aerial up to a specific size on a property without needing planning permission. This is all down to your area and house type, see your local planning authority for more information. Don’t letpixelating pictures or lost signal ruin your precious television time. If your aerial is struggling to provide you with a reliable and consistent signal, a repair of your existing aerial might be required. However, if you are having major issues with your aerial it may be best to scrap the old one and upgrade it with a better quality and up to date aerial. Picture break-up – This means your aerial system is slowly degrading and you may not know anything about it until your picture suddenly becomes unwatchable. Cable faults – The effects of sunlight, rain, snow and frost can degrade your cable and reduce the quality of the signal that passes through it. Amplifier, signal booster, signal splitter or junction box faults – These are most likely to be installed in the loft, although over time they can suffer from the effects of weather. Freeview receiver, Freeview set-top box and TV’s – These may develop an internal electronic fault or even stop working completely. Satellite TV has become increasingly popular. Satellite TV works by broadcasting video and audio signals from geostationary satellites to satellite dishes on the Earth’s surface. Using a qualified and experienced satellite engineer is extremely important; any electrical work is known to be dangerous especially whilst working on roof tops. The benefits of satellite TV’s outweigh the cons massively, some of these benefits include; improved picture quality compared a cable television due to the way the signal is transmitted to your house. More choices of channels, this is because the satellite can transmit signals from stations around the earth, which means in theory you are able to receive any station. In comparison to cable TV, satellite TV has better coverage and is available pretty much anywhere. Look at the weather. Heaving thunderstorms can cause temporary loss of signal, even though it may not be raining where the dish is located, just hang on in there until the storm passes. 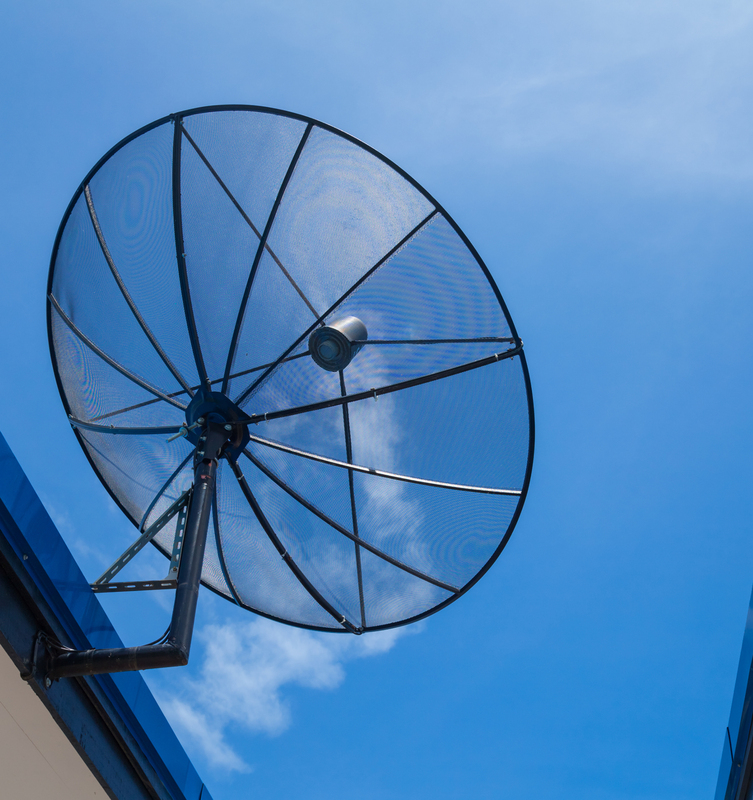 Try and figure out if your satellite dish has been knocked out of position if the dish appears to be out of position but not broken; you will need a professional to come and have it aligned. Check to see if the cover on the feed horn to see if it is cracked or broken. Check the cable connections at the dish and the receiver. You are able to remove them and look for a broken centre conductor, a connector which is damaged may not make a ground connection. Corrosion or dirt could block a signal. Make sure you check the cable for breaks, crushing or cuts, remember to look carefully! Dish out of alignment - Could your dish have been blown or knocked out of alignment? Something blocking the signal - The dish needs a clear line-of-sight to the satellite – the following things can prevent this: buildings, scaffolding or trees. Weather - Heavy rain isn’t always great for satellite TV reception. Cabling - Check that the cable from the dish to the back of your satellite receiver is undamaged. A satellite engineer generally uses ladders to reach the best position on a roof for putting up a satellite dish; they then test for signal availability using professional testing equipment. Once the satellite is installed, they find a route for feeder cables and fit cable to the receiving equipment. This equipment includes televisions, DVD/Blu-ray players, recorders, radio tuners and set-top boxes used with satellite and digital television. Satellite installation engineers use a variety of tools whilst carrying out work. The work involves running cables through buildings using various points of access. They then finish off the job by using their test equipment to check the reception and picture quality of the TV. For more information regarding aerial and satellite services, please don’t hesitate to contact us on 01647 440 231 or 07950329873. 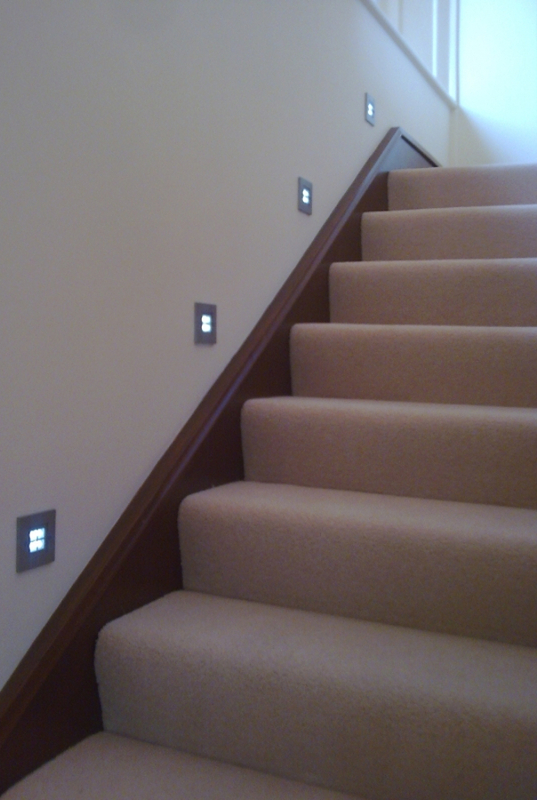 We cover a range of domestic, commercial and industrial services throughout Devon including emergency lighting and CAT 6 Data Wiring installation. Find a full list of our services here. Visit our gallery pages to find examples of projects we've worked on in the past, this will give you an idea of the type of services we offer and the quality that we provide. Use the form opposite or the details on our contact page to get in contact with any queries you have or to book our services.